As a business owner, you want to make money and turn over a profit every month. However, there are common financial pitfalls you need to avoid. Many businesses fail within the first year because of poor financial management, so it is vital you understand the mistakes made by others and learn from them. To help you, we have listed five common financial mistakes that you need to avoid. You will incur many costs during your time in business, and it is important you set a budget. Not only do you need to account for overheads, but you also need to consider your working capital for day-to-day operations. Here is a step-by-step guide to working capital financing you should find useful. There are also unexpected costs, such as having to replace broken equipment or having to cover payment delays from clients. So, as well as trying to account for expected costs, you also need to store money to deal with unforeseen problems. There are many tasks you need to fulfill on a daily basis, so it makes sense to hire somebody to take away some of your burdens. 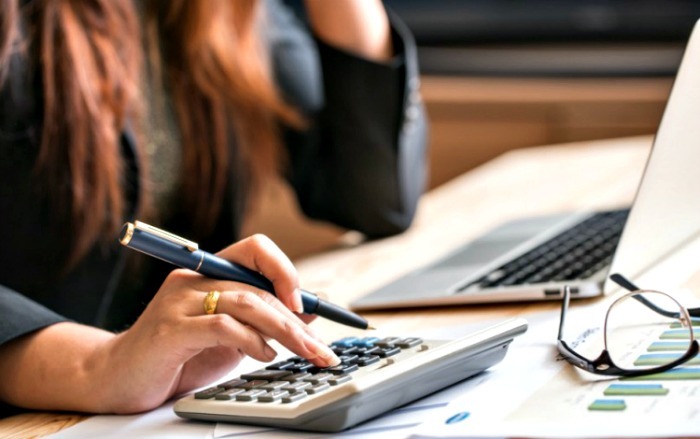 Considering financial management is key to running a successful business, you should hire an accountant to help you optimize your money, and alleviate your stress level. From managing your taxes to giving you advice on every financial aspect of your business, your accountant will become your new best friend. Going it alone can be risky, especially if you don’t know what you’re doing, so hiring a professional is a worthy investment. It is unlikely you can run your business on your own, so despite the cost, you may find it necessary to hire staff on a part or full-time basis. When you have people in place, you need to continue investing money in your staff to ensure they are fully trained and equipped to do the job at hand. Saving money is prudent, but there are times when spending your hard-earned cash is necessary for ensuring you add to productivity and make a profit. We are all tempted to spend money, but sometimes we can cut down on expenses. You may want to kit your office out with the latest gadgets and technology, but you may not actually need them. Also, don’t spend money on the latest high-end computer equipment if you can manage just as well with older pieces of hardware. Or consider selling any outdated equipment you have, giving you the extra money to replace them with something better and more productive. Many small business owners work from home, but you should still set up a separate bank account for your business. Your work or home life will suffer when you mix up your accounts, and it will make life harder for you in the long run. The taxman won’t be happy if you have muddled up your finances, and your family won’t be happy when vacation is canceled because you have spent savings on your business.